Using Future Perfect Tense, Definitions and Examples. Follow the list for detailed expressions; The tenses simply show the time of an action. 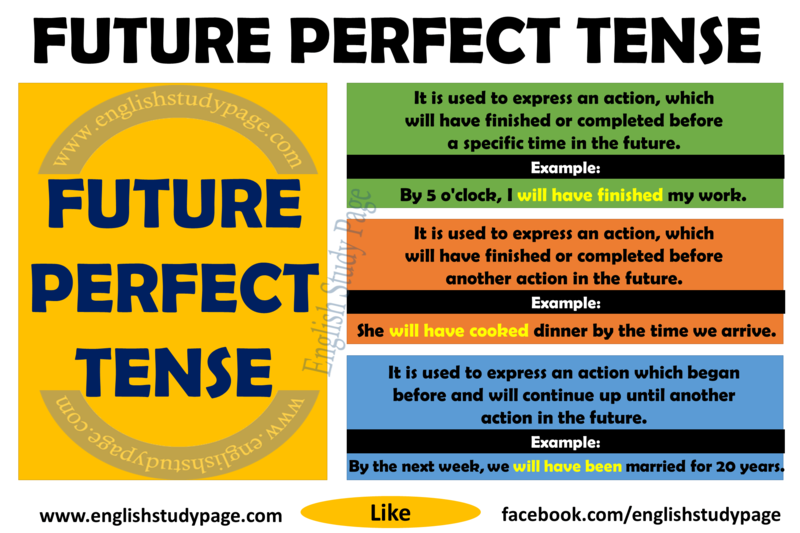 Future Perfect Tense is used to express an action, expected to be completed before a certain time in the future. 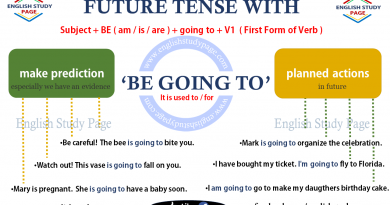 The Future Perfect Tense is formed by putting “will have” before the past participle of the verb. will –> ‘ll Ex: I‘ll have finished. will not –> won’t Ex: I won’t have finished. When my father comes home, my mother will have read me a story. Susan will have been ready by the time I get home. The plane will have landed by that time. Tom will not ( won’t ) have received enough score by the summer. They’ll have relaxed by night. Will you have graduated from the university before I graduate? By next week, we‘ll have earned lots of money. I will have prepared breakfast by the time the children wake up. The rain’ll have stopped by tomorrow. They won’t have been maried by next year. By that time I will have finished my homework. Will David have learned all information about this job by May? We use other question words ( Like Who, What, Why , etc.) in future perfect tense. When will you have finished reading the book? Why will he have retired before January? How will we have learned this subject by tomorrow morning? 1. Future Perfect Tense is used to express an action, which will have finished or completed before a certain( or specific ) time in the future. You will have graduated from high school by July. By 5 o’clock, I will have finished my work. They will have sent an email until tomorrow. People’s lives will have changed by ten years. We will have arrived in China by the next week. The concert will have started by 2o minutes. 2. It is used to express an action, which will have finished or completed before another action in the future. She will have cooked dinner by the time we arrive. I will have seen him before the police comes. By the time Alice reads this, John will have gone to London. The children will have slept by the time we arrive at home. By the time he gets home, the exam will have finished. They will have been in California for 10 years by the time they retired. By the next week, we will have been married for 20 years. 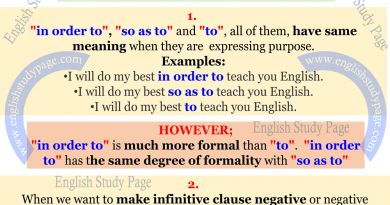 “Future Perfect Tense” is not used with “Time Clauses”. 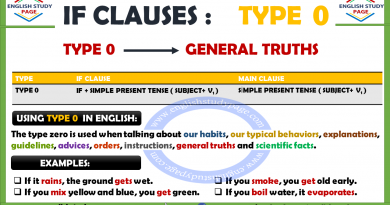 Time Clauses have two clauses which are main clause and time clause. Time clause is the clause beginning with time words ( when, after, before, by the time, etc. ). We do not use future tenses in time clause.